At long last it is open! 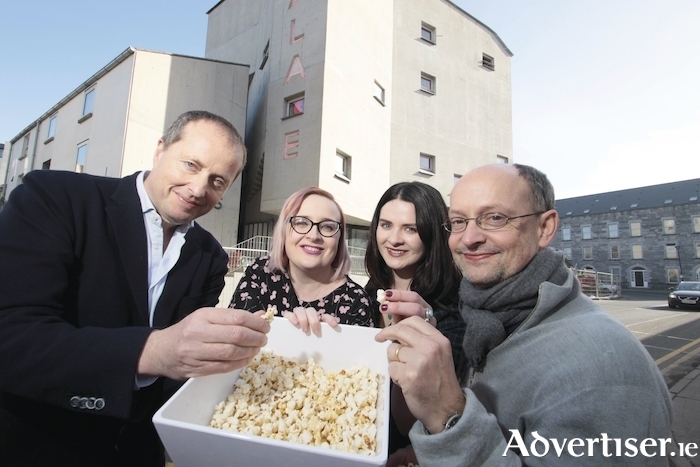 More than a decade after it was first mooted, Galway’s arthouse cinema, Pálás, opened its doors to the public last week and early responses have been very favourable. To mark the occasion, Andrew Lowe and Ed Guiney, the founders and directors of Element Pictures, which operates Pálás Cinema, visited Galway last week and Lowe sat with me to talk about how they got involved in the project and their vision for the cinema, now that it is up and running. Element has grown to be a major Irish player in the film world with a portfolio that ranges across production, distribution, and exhibition, TV, and film. The company has been associated with films like Adam and Paul, Room, and Ken Loach's The Wind that Shakes The Barley, which won the Palme D’Or in Cannes, and TV programmes like Red Rock and Rebellion. Andrew relates how Element came on board the Pálás venture and stuck with it despite the well-publicised problems which dogged the development; “When Lelia Doolan first contacted us she told us that they needed an operator to run the cinema and they also had a funding shortfall so they would also need that operator to invest in the project. We agreed on that, and Lelia is such a fantastic negotiator she convinced us to pay a lot more than we felt was wise but her energy and enthusiasm was infectious, and we’d already got the bug and we believed this could be a fantastic venue so it was a case of ‘let’s do it’. "That was the start of our involvement and then after two years the project was clearly in trouble so we sat down with all the funders and agreed a new plan which saw us taking on the responsibility for completing the project. We did have misgivings then because there had been a lot of negative publicity around it and it was frustrating that our role was sometimes portrayed in a negative light in certain parts of the press. Lowe outlines Element’s vision for Pálás; “We follow what we feel our audience wants and we cater for a broad audience. Our opening films – Lady Bird, I, Tonya, and The Shape of Water, are Oscar nominated, quality, auteur-driven films. But there will also be lots of foreign language films and documentaries. We recognise we need to get to know the Galway audience; there are no shortage of opinions being proffered to us as to what movies we should be showing here and that’s great.